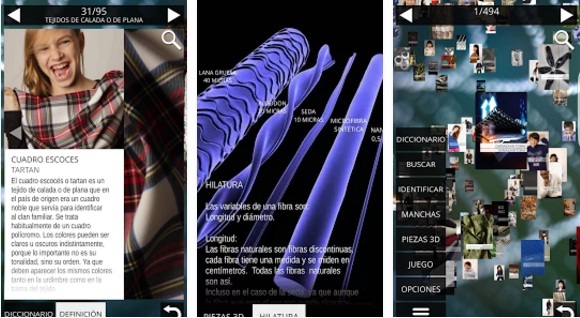 The Textilae App. This app is a complete package of a textile process, a good source of the raw material to the latest printing process, techniques and finishes as well as the creation of technical fabrics. This app is a consultation tool in two languages, English and Spanish. I actually found this more enttaerining than James Joyce.